With the Reserve Bank of India cutting the repo rate by 25 basis points last week, borrowers would be happy that the rate cut season is beginning. While most banks haven’t still signalled base rate cuts, it is only a matter of time before they do so. In such a situation, a potential borrower is likely to get good opportunities. For one, if you have taken a home loanrecently, if the banks cut rates significantly, there could be a case for reducing your home loan burden by re-negotiating with the bank or shifting lenders. But if there are only a couple of years remaining for the closure of the home loan, it makes little sense to re-negotiate or shift because you would be paying mostly the principal amount. Interest rate cuts also throw up other opportunities. For example, you could take a top-up loan – home or personal – at a lower rate. But there are certain things that you should be wary about before taking such loans. A few tips to ease the process. Consolidation: Many of us have several loans at the same time. These include home loan, auto loan, personal loan, credit card dues and so on. And only the home loan payout gives some tax benefit, the rest are a drain on the finances. If you already have a property through a home loan and have paid the equated monthly instalment for a few years, taking a top-up could be a good way to leverage the property’s value and reduce the other loans. Non-banking financial institution HDFC offers a top-up loan 12 months after the final disbursement of the property has been made. The rate is 10.15 per cent to 10.50 per cent and the tenure up to 15 years. In case you want the loan while the existing home loan is still on, you can use the loan against property option. In this situation, the rate is higher at 12 per cent to 12.75 per cent. When you are considering an additional loan of, say, Rs 25 lakh, it is worth prepaying some of your smaller loans like personal loan and consolidating your borrowing against your property. This has a couple of benefits. Home loans or loans against property are long-tenure loans of 15-20 years, so the EMI per lakh of borrowing is the lowest compared to an auto or personal loan, which is of 4-5 year duration. Also, banks consider loans secured against property to be a safer bet and offer the lowest interest rate for such loans compared to other types of loans. So, consolidating your borrowings against your property, assuming the LTV permits, is a sensible option as the aggregate EMI burden as well as the overall interest cost can be minimised. Eligibility: Banks use the instalment to income ratio (IIR) as a barometer of your ability to borrow. So, the aggregate of existing and prospective EMIs on the loan application under consideration needs to be within a pre-defined level of your current income. Depending on the banks’ internal credit policy, this could vary between 40 per cent and 65 per cent for most lenders. Borrowing against a property introduces the additional element of LTV, as described above. So, these two criteria hold the key to determining the loan amount you can borrow. As you shop for a home loan top up, you might need to consider switching your loan to a bank whose policies allow you to borrow the amount that you need. Here again consolidating your personal and/or auto loan will help improve your eligible loan amount. The bank will prepay these loans on your behalf, out of the top up amount sanctioned. Interest rate: It is normal for existing borrowers to pay slightly higher interest rates than new borrowers. When you are considering a top up loan, it is a good time to shop for a better deal on your rate of interest. Lenders have special schemes running from time to time and you could take this opportunity to switch to such a bank, assuming you are getting the desired loan amount. You can also bargain with your existing bank to renegotiate the existing interest rate downwards, as they would probably like to retain a client who has been repaying the loan in a timely fashion. As you will notice in table 2, the power of interest rate, higher tenor, consolidation of loans and your loan advisor’s search for the best deal, allow you to borrow the additional amount of Rs 25 lakh, for a minor change in your aggregate EMI by Rs 507 only. Paperwork: If you are availing a top up from the same bank where your home loan is currently running, you will need to put together your latest KYC documents, income documents, bank statements and details of other existing facilities. In case you decide to switch to another bank, you will need additional documents, including a foreclosure letter stating current home loan outstanding and list of property documents in custody of your existing bank (LOD). Both these need to be provided by your current lender. Banks normally take 10-15 days to process such requests. They will use the interim period to convince you not to move your loan elsewhere. The foreclosure letter is valid only till your next EMI is paid, as the loan outstanding changes with each monthly repayment. So, you ideally need to make the switch over in the same calendar month as the date of the foreclosure letter. Conclusion: It is not possible for borrowers to be aware of all the eligibility criteria or prevailing offers from multiple banks. You are probably best served if you avail the services of a loan advisory service. They will not only offer you multiple options, but also help with all your paperwork. Such loan distributors do not charge clients for their services, as the banks pay them for loans referred. You get unbiased advice and the services of a specialist, which should help navigate the entire process seamlessly. Arun Kumar, an IT professional, wanted to invest in land, with the plan to build a house where he and his wife could retire post his retirement. This was two years back. Today, those who signed the booking amount have not been able to track the company or the developer. So, what are the indications one should watch out for so as to avoid being taken for a ride? The first indicator is in case the sales person freezes on a time and date and refuses to take you for a site visit at your convenience. You are asked to bring along your cheque book so that you can avail a discount that is given `only on that day’.“Real estate deals take time. Reliable developers do not give one-day discounts as they know that when the buyer decides to buy, a deal can be struck then,” says RoyD’Silva, independent advocate and practitioner, specialising in issues related to property transactions..
Chennai’s residential market, which has been impacted by the overall slowdown in 2014, is recovering with a spurt in the volume of enquiries and clinching of deals for apartments in the price range of Rs 40-60 lakh. Unlike earlier, property developers are seeing deals closing as the first time homebuyers want to make use of the current slowdown to strike bargain deals. Moreover, rise in input costs has convinced end users that the market has plateaued. “Apartments in the price range of Rs 30-60 lakh are fast moving in the southern belt as 70 per cent of supply is focused in this region,” said Sanjay Chugh, National Head–Mandated Sales & Business Head, Chennai, JLL Residential Pvt Ltd. While new launches have slowed down, built units are finding buyers who are keen to commit themselves in the current market scenario. In a related development, smaller projects across micro markets are driving demand as end users are prime movers in a price sensitive market. With flexible lending norms by select banks for smaller entrepreneurs made feasible, this has strengthened the confidence of budding entrepreneurs to enter the housing market. Industry estimates vary over the quantum of residential market absorption from 20,000–22,000 units in 2014, a dip in overall volume by 20-30 per cent over the previous year. However, there are a number of feel good factors on the anvil which will make Chennai market open up in a big way in the coming months, say realtors. The annual event by Credai members titled ‘Fairpro’ has been scheduled in February 2015, where a number of developers are expected to launch their new projects. As regards high-end projects, there is a perceptible shift in the trend with the number of enquiries having gone up for units priced below Rs 20,000 per sq ft in city areas. However, clinching of deals is taking more time than anticipated in the current market scenario. An estimated eight high-end projects had been launched in the city areas last year in the price range of Rs 15,000–25,000 per sq ft.
With the IT sector driving substantial housing demand in Chennai, recent instances of lay-off by some of the IT majors are a cause for concern. “But there is no dearth of demand even today if there is a right product with the right price and at the right location,” said A Sivaramakrishnan, executive director, Residential, CBRE. Real-estate developers in Chennai are seeing high land costs and regulatory overdrives eating into business potential, even as corporations wait to set up offices in the city. At about 1.5 million sq ft, new commercial realty that came up in 2014 was the lowest in a decade. Against average demand of about 4 million sq ft, the supply will barely touch 2.5 million sq ft in the coming years, according to realty consulting firm Jones Lang Lasalle, which said there was a clear possibility of the shortage of space driving business to locations such as Bengaluru, the top destination in South India for commercial real estate. According to JLL, completion certificates for multi-storey buildings have been few since June last year, when an eleven-floor residential block under construction crashed, killing more than 60 people. The Chennai Metropolitan Development Authority has since begun scrutinising all building plans and completion certificates. This slowed the process of issuing completion certificate, which is necessary for a building to receive water and electricity supply, and for its commissioning. “Besides the effect of the Moulivakkam incident which has made end-clearances hard to get, fundamentals such as high land costs are making commercial realty unattractive,” said Ajit Kumar Chordia, Chennai president of the Confederation of Real Estate Developers’ Associations of India and managing director of Khivraj Tech Park. The areas that are bucking this trend are the most-sought-after stretches, like the pre-toll booth stretch on IT corridor Old Mahabalipuram Road. In this stretch, just 5% of office space is vacant and rentals have surged 35% compared with 2011 levels. One acre of land on this strip costs around Rs 35 crore, 40% more compared with four years ago. With large demand from corporations and nonviable business conditions, developers are looking for help. But for the high land cost, now is an opportune time to build offices in Chennai, said Sarita Hunt, managing director for Chennai and Coimbatore at JLL. With homes not selling as they used do, and hotels witnessing oversupply, land if priced right can spur commercial and IT realty in 2015, she said. This is exactly the message builders have sent to the state government. In a document to state IT Secretary TK Ramachandran, builders said high land cost is an obstacle in bagging contracts from one large automobile firm and an IT company which are waiting to enter Tamil Nadu with plans to occupy 3 million sq ft.
“Higher acquisition cost of land impacts competitive rental offering for the client when compared to Bengaluru or Pune,” developers said in the letter.With IT firms expected to participate in the much-anticipated global investor summit in the state, easing the approval process will make Chennai attractive, builders said in the memorandum. Poes Garden is recognised as one of the most affluent residential addresses across India, as it is home to two most powerful personalities – Rajanikanth and Jayalalitha. However, if you are keen on living close to the area, then T Nagar and Alwarpet can be your choices. These localities are within a 5 km radius of where the rich Chennaites live. Poes Garden is a locality where residential houses are available in a budget range of Rs 13-80 crore. While Alwarpet offers numerous multi-storey apartments within Rs 3 crore, T Nagar offers smaller properties at a starting price of Rs 50 lakh. Available options include flats and builder floor apartments. “Residents living here have a dual advantage as they remain close to the city’s luxury pockets and don’t have to face the usual traffic jams and road blocks, unlike Poes Garden where round the clock tight security and restricted access to main road adds to the woes of buyers,” says Gitu Chandra Reddy, CEO, Accolade Home Options, one of the local brokerage firms active in the area. Nungambakkam is a premium locality as it is home to several up-market offices, shopping complexes as well as institutions that employ some of the highly paid population of the city. If you desire to live close to this area, then places such as Chetpet, Choolaimedu and Kodambakkam can be your options for consideration. Property offered here include builder floors as well as multi-storey apartments, available at a starting price of Rs 45 lakh in Choolaimedu and Rs 42 lakh in Kodambakkam. However, if you want to invest in a bigger home, you need to pay at least Rs 70 lakh for an 800-1000 sq ft 2BHK flat in both these areas. Whereas, for a similar size home in Nungambakkam, you need to pay at least Rs 1.5 crore and can go up to Rs 4 crore for a 2BHK flat, depending upon the amenities and the profile of the building. Although these areas share a common neighborhood with Chennai’s most expensive locality, but heavy traffic, especially during the peak hours, is a major shortfall for Choolaimedu. “Currently, limited access to the Kodambakkam Bridge because of maintenance work is causing problems for residents, moving towards Vadapalani,” says Krishan Varma, managing partner, Varma Associates and Solutions. Living in a VIP area is an aspiration but while buying a house, it is advisable to look at your convenience. After all, it’s a matter of your home !! Chennai – Magicbricks found that areas such as Adyar, Nungambakkam and T Nagar are gaining popularity among end users and investors. These feature among the top preferred localities as recorded by PropIndex, a quarterly research initiative by Magicbricks. These coveted addresses are nearing saturation, but with re-development making its way, there is considerable supply of new properties in these markets. However, the prices are in the range of Rs 1-16 crore, depending upon the size, property type and the exact location of the house. Are you working in Velachery and unable to afford to buy property in the locality? Thoraipakkam, the neighbouring locality, may fit your pocket. Located in South Chennai along the IT Expressway, it is about 7 km away (15-20 minutes drive) from Velachery and offers comparatively affordable property prices. According to Magicbricks data, the average capital value for an apartment varies from Rs 4,600-7,000 per sq ft, whereas, in Velachery the values are Rs 6,700-7,500 per sq ft. Since it is located on the IT Expressway, majority of the demand is from the IT professionals working in Velachery. This has also pushed up the rental market here. The data shows that one can find a 2BHK unit at a monthly rent of Rs 15,000, while a 3BHK with semi-furnished features, is available between Rs 20,000-30,000 per month. Thoraipakkam is one of the preferred residential locations in Chennai today. This was evident on Open House – a discussion forum by Magicbricks, where users posted queries asking for investment potential of the area. Apart from affordability, Magicbricks brings few more reasons for why you should invest here. In a city whose demographics are changing constantly with apartments becoming the norm rather than the exception, a plot as a mode of investment has still not lost its lustre. The severe space crunch in the city has resulted in land prices in the city going through the roof, sending plot developers and buyers scout for land on the outskirts resulting in a spurt in real estate development in these localities. “Areas along the East Coast Road (ECR) between Mahabalipuram and Pondicherry, off the Old Mahabalipuram Road like Thalambur, Ponmar and Illalur have become hubs of activity,“ says Sarita Hunt, managing director, Chennai and Coimbatore, JLL India. “When it comes to investing in plots Thaiyur, Kalavakkam, Thalambur, Thiruporur, VandalurKelambakkam Road are also a good bet,“ says N Hariharan, Head Commercial Agency, South, Cushman & Wakefield. Infrastructure development, lower rates and the likelihood of prices rising fast guide buyer preferences, say experts.“Rajiv Gandhi Salai and Oragadam are the hubs of activity for the IT and manufacturing sectors.While Rajiv Gandhi Salai is an attractive choice due to its proximity to the various IT Parks and IT-SEZs, plots near Oragadam are ideal for investment too as it is an automobile hub. These locations are well connected by road and rail and the presence of various multinational companies have triggered real estate growth,“ says Hariharan. Vandalur-Kelambakkam Road is one of the future growth corridors of the city as it connects two important arterial roads Grand Southern Trunk Road (GST) with Rajiv Gandhi Salai.Easy connectivity, and presence of many educational institutions in the vicinity have led to many residential project launches in this belt which will positively impact the future valuations of residential plots in the region, he further says. With prices ranging between `500-2,500 per sq ft in these localities, the buyer now has a variety of options to choose from that fit his budget. Though an apartment may seem to be a better bet as it ready for living, investing in plots makes a lot of sense, say these experts. “Flats are an inflexible format of property and this limits the maximum value they can attain. Flats are snapped up in most cases, but at fixed residential prices dictated by prevailing market rates,“ says Hunt. “As an area attains more market drivers and begins to saturate, plots increase in value manifold and can be sold on a seller’s, not a buyer’s market. Also, land is cheap in most cases and becomes a good capital investment,“ she adds. “Buying a plot or apartment depends on individual choices and requirements,“ says Ahmed.“But investing in plots does make sense in the long run because appreciation is higher on a plot and they can be used for joint ventures. We also refer our clients to sub contractors so that their plots could be used as a source of income,“ he adds. “Plots in peripheral areas are more for a long term investment. They can be leased for storage and small production uses that need open spaces. With additional investments, they can also be leased for warehousing and industrial activities by building sheds. Such plots can then be redeveloped in the future and new offices or apartments can be constructed on them, if local laws allow. Alternatively, until one actually intends to construct on the land for selfuse or for commercial purposes, one can undertake floriculture, horticulture or some similar activities to earn some income,“ says Hariharan. However, the experts warn that it is important to make a few checks before buying a plot. It is essential to make legal checks on ownership history . Clear land title with no outstanding loans, taxes or mortgages must also be investigated. A buyer must ensure that the land parcel is not reserved for any government projects and does not belong to the agricultural category,“ says Hariharan. “Aspects of approval needs to be checked, whether the plot is DTCPCMDA approved, whether bank finance would be made available, proper Roads and Infrastructure have been provided (EB, Water etc), also amenities within the projects and other developments coming up around it needs to be researched,“ Hunt adds. Chennai’s residential property market has been facing pressure on sales for some time now. With unsold housing stock at 57,111 units at the end of the third quarter this year, it will now take 36 months to clear the inventory. However, overall housing sales improved by 12.7% q-o-q in the Jul-Sep 2014 quarter with 4,924 units sold during the quarter when compared to 4,369 units in the Apr-Jun 2014 quarter, according to JLL’s periodical survey. 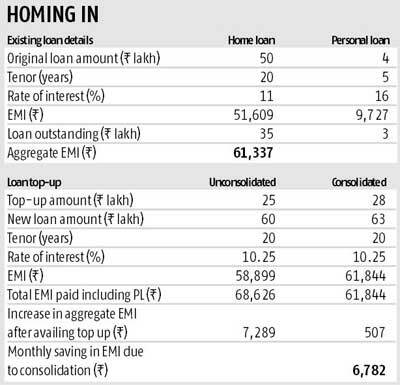 Improved home buying sentiments along with festive discounts are attributed as major factors that turned the corner. While select developers have agreed that the quantum of enquiries are up recently, the conversion takes a little longer due to anticipation that the home loan lending rate would come down in the coming months. Whereas, plotted development projects have not been impacted by the slow down witnessed in other categories of the residential property. New launches have declined by 57.4% y-o-y in Jul-Sep 2014 quarter amid stringent approval processes. In this quarter, only 27 apartment projects and seven villa projects entered the market with 4,175 units. The city also witnessed the launch of five luxury home projects during the same period. Capital values in the Southern and Western Suburbs remained unchanged as developers chose to clear excess inventory. Besides, multiple housing options added pressure to both capital values and rental growth. Whereas capital values in Northern Suburbs and premium sub-markets rose as new launches were introduced at above average prices. Price stagnation will continue in the short-term as home buyers have multiple options now unlike earlier, said Vasanth Raghunathan, assistant manager, JLL, Chennai. In particular, apartments in far-away suburban locations will stagnate due to weak demand, he added. In a related development, the state government sanctioned Rs 204 crore to develop a new 1.4 km long link road that will connect Neelankarai on ECR which will join the radial road at Thoraipakkam Junction on Old Mahabalipuram Road (OMR). This link will significantly reduce the commuting time to ECR and is supposed to improve the value of real estate in and around Thoraipakkam Junction. In fact the Thoraipakkam-Pallavaram Road has already evinced keen interest among several property developers to undertake residential development in view of the improved connectivity levels and response from home buyers. Similarly, the ongoing construction of the Outer Ring Road (ORR) Phase 2 from Nemilichery and Minjur along with the proposed Peripheral Ring Road (PRR) project is expected to improve demand and capital values of residential projects in the far-off suburbs.